Thank you for your business, we appreciate it very much. Here is your Certificate of Destruction. 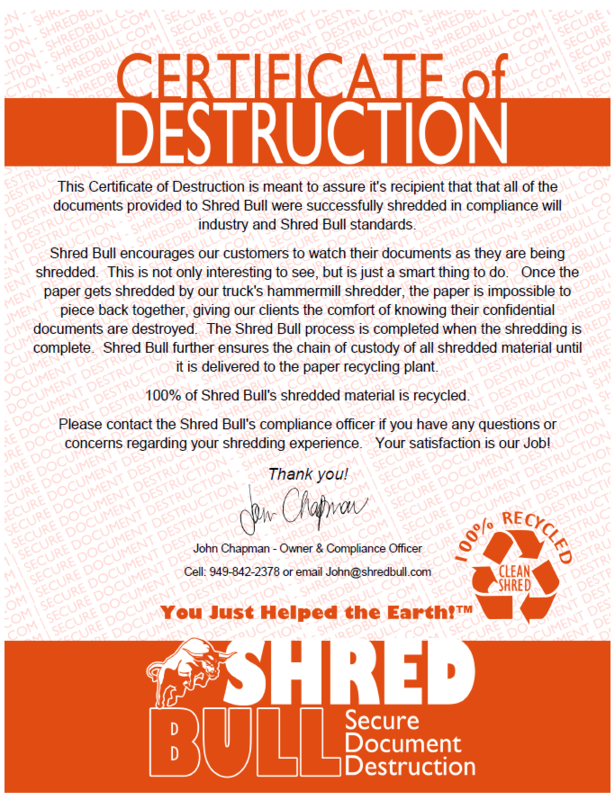 It is meant to assure you that the documents you directed us to shred were successfully shredded in compliance with industry, state and federal privacy legislation and Shred Bull® standards.